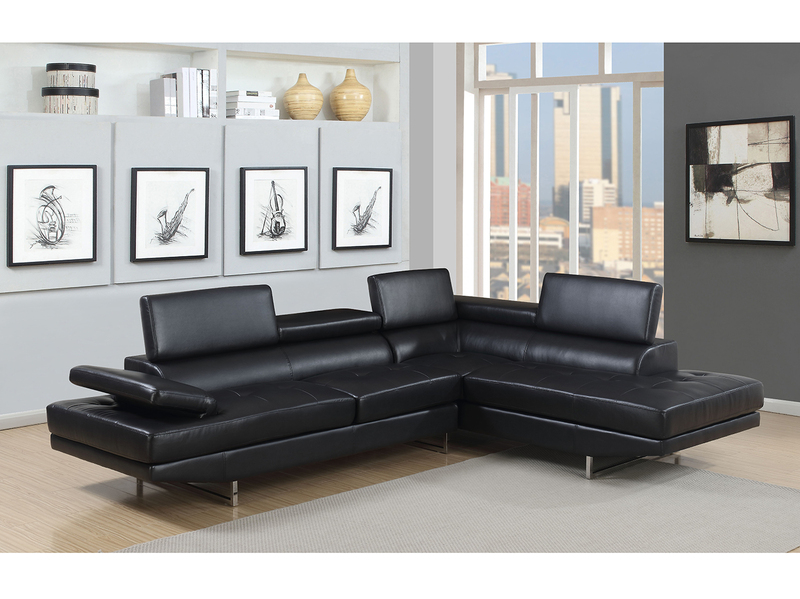 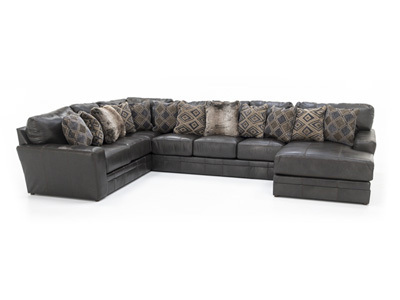 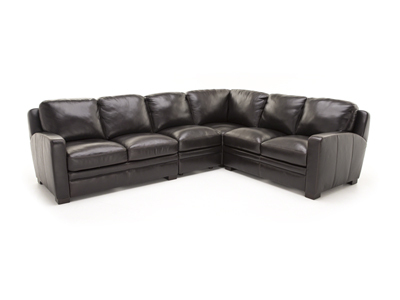 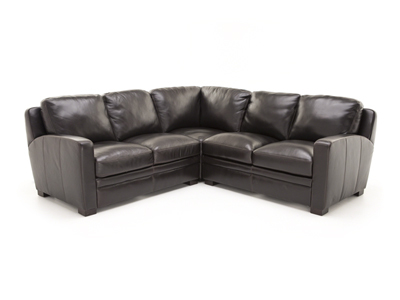 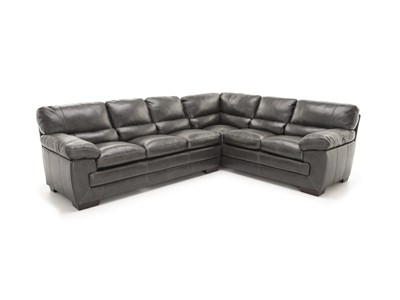 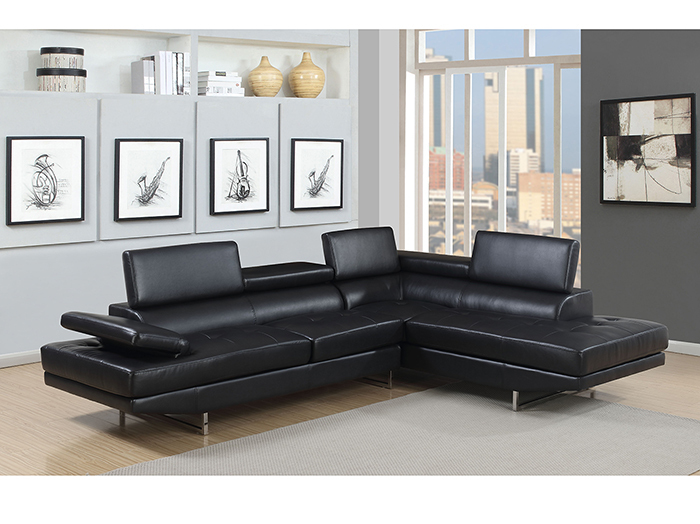 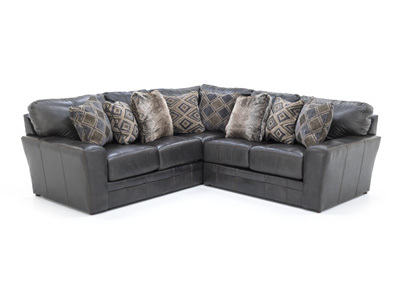 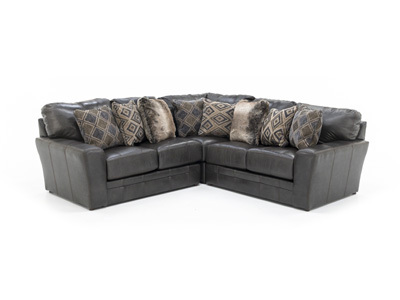 Seat your group in style with the Aurora sectional. 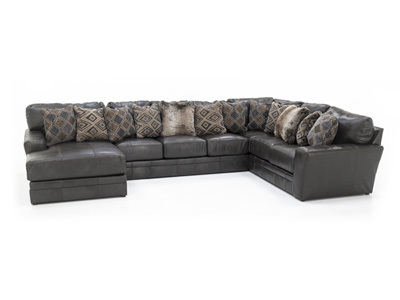 The cutting edge, modern design will wow your guests. 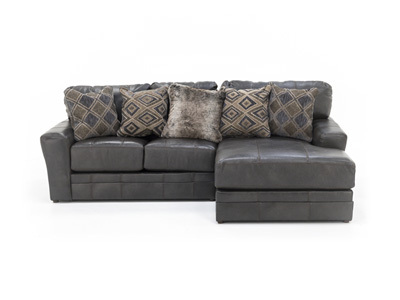 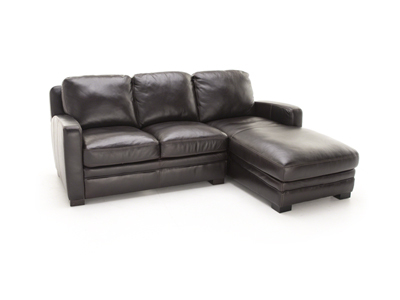 The adjustable back and arm function provides extra comfort and an alternate look. 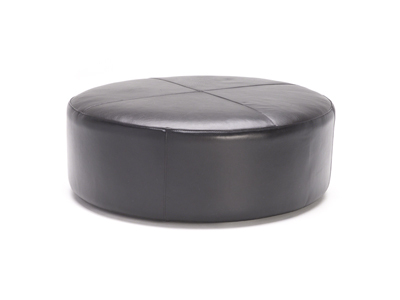 The ottoman is sold separately. 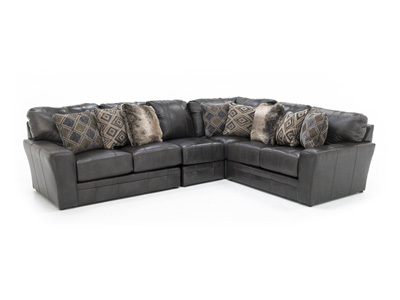 In pewter leather-look. 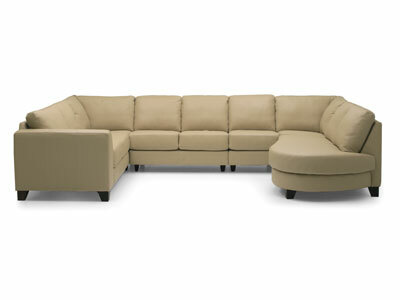 Special Buy, Limited Quantities.